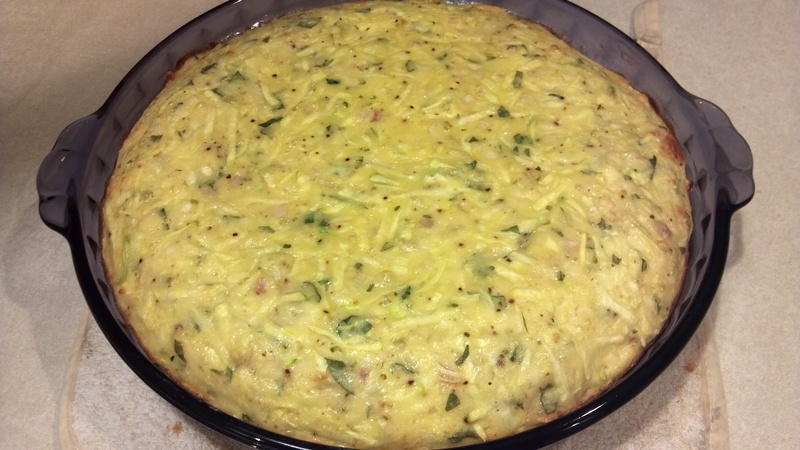 Zucchini Quiche | What's Cooking at the Genua's? What a great way to use up the abundance of zucchini! Love it! I can’t wait to make it again, it was so incredibly delicious! And easy! Hope you’re doing ok now that your daughter has moved out! Wow, 5.2 lbs in 3 weeks is awesome! With tasty recipes like this, I bet it’ll be a cinch to stay on track! It’s an awesome recipe Dana. I have made it three times so far. And by the way, I’m up to 8 lbs gone now! I actually could eat this zucchini every day!